To build this project, you will need the following parts. There is only one pin on the Pi that is capable of producing pulses in this way (GPIO pin 18). 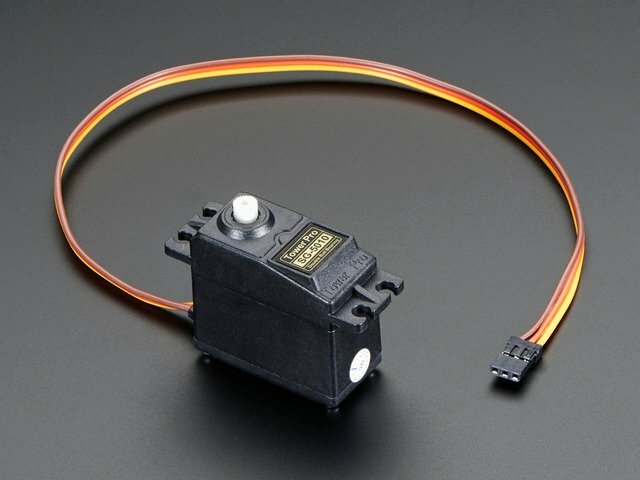 This will be connected to the control pin of the servo. 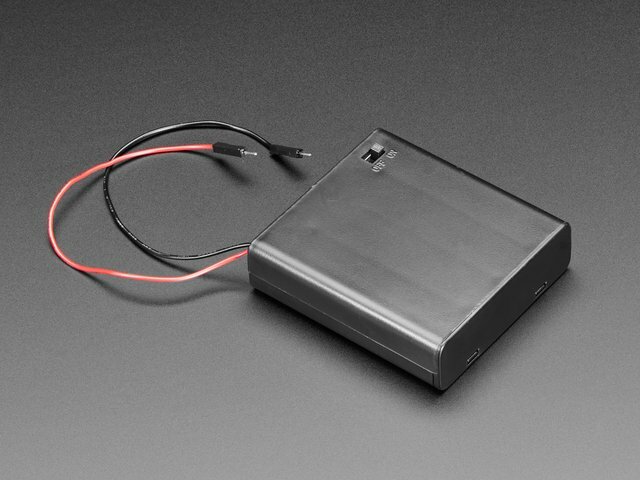 The power to the servo is provided by an external battery as powering the servo from the Pi itself is likely to cause it to crash as the Servo draws too much current as it starts to move. 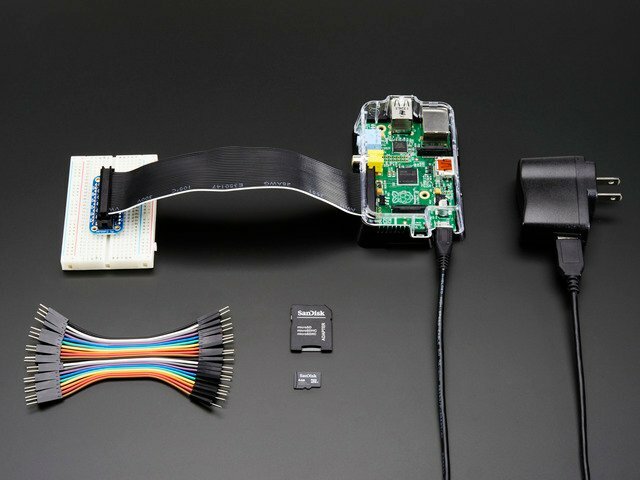 Servos require 4.8-6V DC power to the motor, but the signal level (pulse output) can be 3.3V, which is how its OK to just connect the signal line directly to the GPIO output of the Pi. 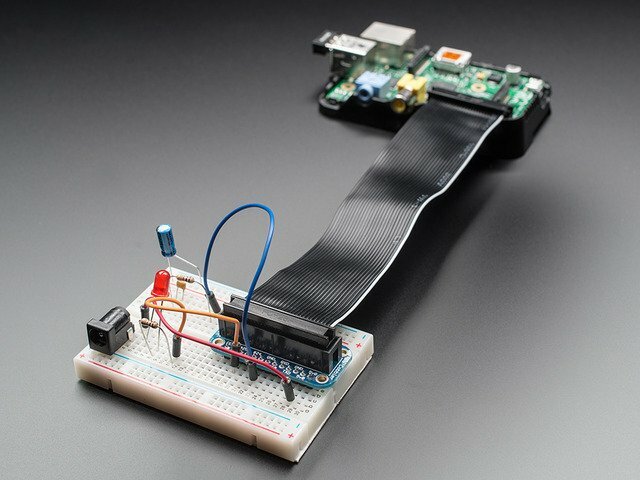 The Pi Cobbler is used to link the Raspberry Pi to the breadboard. If you have not used the Cobbler before take a look at Lesson 4 in this series. Servo motors generally come with three pin sockets attached. The red and brown sockets supply power (positive to red) and the third yellow or orange socket is for the control signal. To link the socket to the breadboard, use the male-to-male jumper wires. Note that the Raspberry Pi PWM is not necessarily a 'stable' output, and there might be some jitter! For a steady PWM signal, you'll want to check out a dedicated Servo HAT. A variable (delay_period) is used to contain the time in seconds between each step of the servo. The while loop will just continue forever or until the program is interrupted by pressing CTRL-C. 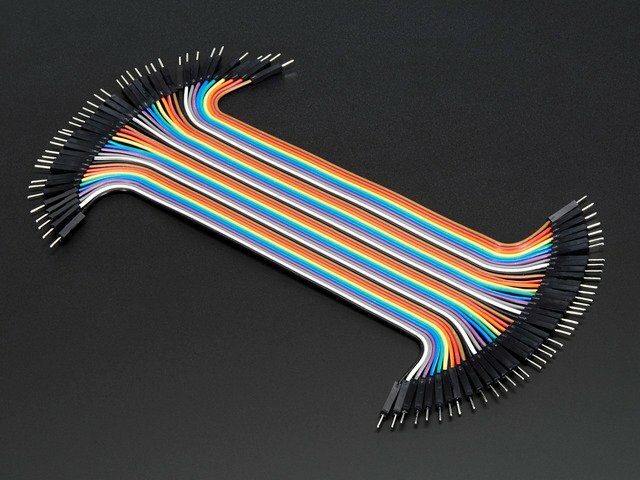 Within the loop there are two near identical 'for' loops. The first counts the pulse width up from 5.0ms to 2.5ms and the second sets the pulse with starting with 2.5m and counts down to 0.5ms, moving the servo arm back and forth. Paste the code above into the editor and then do CTRL-X and Y to save the file. The servo should start to move straight away. If you want to make the servo move faster, try changing delay_period to a smaller value, say 0.001. Then to slow it down try increasing it to 0.1. If you want to control more than one servo, then the easiest way to do this is to use something like the Adafruit I2C 16 channel servo / pwm controller. This tutorial explains how to use it. This guide was first published on Jan 09, 2013. It was last updated on Jan 09, 2013.